Our cloud networking technologies with unified wired and Wi-Fi access provide self-organizing and self-healing connectivity, reduced operational cost and complexity, and greater data insights. Supported by the industry’s most flexible and adaptable architecture and licensing model, our cloud-managed access networks can be fully tailored to match your requirements both today and tomorrow. Innovative Cooperative Control protocol suite enables secure, scalable, high-performance, and mission-critical wireless networking in a manageable and cost-effective way. The AP650 is designed for high performance environments – combining the latest in Wi-Fi standards (IEEE 802.11ax technology), the latest in Ethernet standards (2.5 mGig), and Aerohive’s software-defined dual 5 GHz radios for indoor and industrial environments. AP650 has integrated BLE and USB connectivity for enhanced location-driven services and the ability to provide additional wireless access options for IoT and other devices. HiveManager reduces complexity & cost with a single interface for centralized automation & management. Offered as a public or private Cloud solution, HiveManager delivers a new approach to the deployment and support of modern access networks. Aerohive’s unique distributed control Wi-Fi increases speed, scale, and resilience for enterprise networks of any size. State aware protocols self-heal, determine best path forwarding, and optimize client performance based on the environment. Software-Defined Radios (SDR) utilize HiveOS to evaluate current and historical RF conditions and reduce contention by automatically reprogramming radios to operate in Dual 5GHz mode (manual control available). This process dynamically optimizes performance and increases network capacity in ever-changing environments. 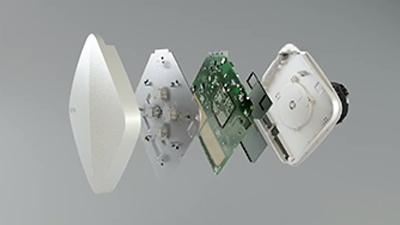 Aerohive’s next-generation access points are built with high quality hardware components and engineered for superior network performance and user experience. The result – increased capacity, broad coverage, and reliable connectivity. Powerful combination of radio intelligence features, high density optimization, and hardware innovation shapes the RF environment for the most optimal experience for all types of client devices and applications. 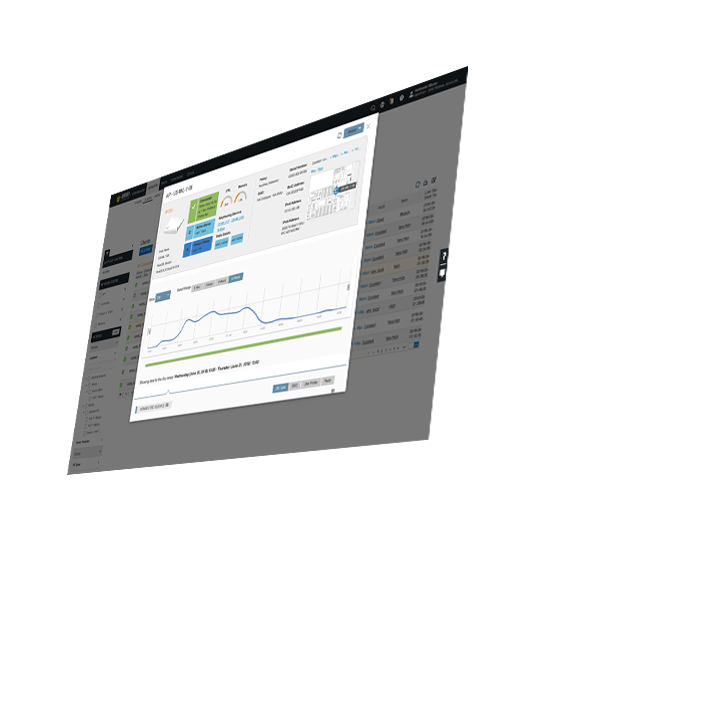 Aerohive gives administrators the ability to measure and monitor their end users’ activities across all application types and devices. With the help of deep insights, Aerohive access points not only create an intelligent infrastructure to support the growing influx of devices, but provide reliable access and security to maintain business integrity. The outcome – higher network performance, lower latency, and more productive end users. Connect is ideal for organizations that have basic connectivity needs but expect to utilize network visibility, security, and other enterprise Wi-Fi features in the near future. 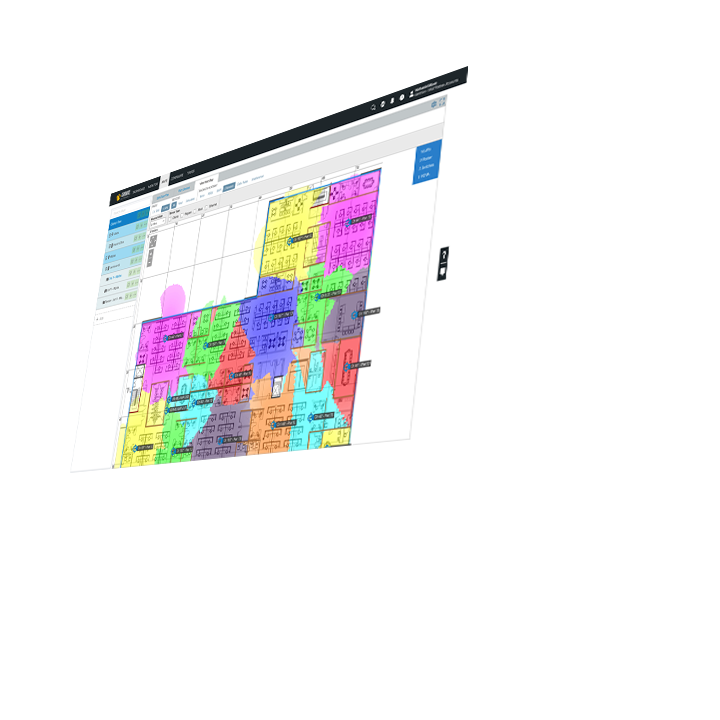 Guided Configuration – Step-by-step configuration and intuitive network management makes anyone an instant Wi-Fi guru. Auto Provisioning – Access Points automatically connect to management platform and download latest configuration and firmware, reducing operational complexity. Take 30 days to see how our cloud networking solutions can help you simplify your wired and wireless management. No matter which of our access points you choose, you will experience next-generation cloud networking that eliminates single points of failure, can effortlessly grow from a single access point to hundreds of thousands, and lets you easily manage and support thousands of access points from a centralized cloud management platform. SDR technology dynamically optimizes radio operation to improve network capacity and performance. Unique distributed control architecture eliminates bottlenecks and single-points-of-failure while providing RF optimization and best-path forwarding. Full context-based visibility and control for applications and network services, enabling granular traffic management and optimization for network users. Fully configurable QoS allows for prioritization and queuing of network traffic, perfect for improving user experience with latency-sensitive services such as VoIP. Aerohive's Private Pre-Shared Key (PPSK) addresses the security and complexity constraints of traditional authentication methods while providing easy on-boarding and unique network identity for users and devices. Protect the network from wireless threats with built-in rouge AP/client detection and mitigation, including ad-hoc clients. Perform AD/LDAP integration without configuring an additional RADIUS server. Enable users to connect to the network with their existing username and password. Securely tunnel user traffic (including guest) to in-network or remote locations such as a DMZ. L2 IPSec or GRE tunnels can be formed between Aerohive APs or a dedicated VPN appliance. Spectrum Analysis with advanced signature detection is included in many Aerohive access points, with no additional hardware or license required. Aerohive meshing protocols enable neighbor discovery, negotiation of client state information between APs and dynamic backhaul mesh in the event of a link failure. Ensure the best level of performance for VIP users with dynamic prioritization of traffic against competing users with a lower priority. 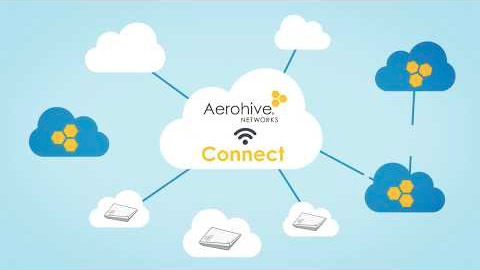 Aerohive APs come with a Trusted Platform Module (TPM) chip that provides hardware-based key storage and encryption, ensuring information stored on the device is secured. More efficient use of the 5GHz spectrum with minimum interruption and downtime when using DFS channels. Manage and control network services through virtualized containerization based on micro-location. Create mini-private networks for each and every user. Prevent session drop-outs while roaming between subnets with Aerohive Mobility Routing Protocol (AMRP). AMRP maintains IP information for active sessions when moving between network boundaries. Increase network capacity by up to 10x by preventing slow or legacy clients dominating airtime, providing more opportunities for newer, faster devices. the latest in Ethernet standards, and Aerohive’s proven software defined Wi-Fi architecture. AP630 is designed for high performance environments, combining the latest in Wi-Fi standards (IEEE 802.11ax technology) with Aerohive’s HiveOS software and HiveManager network management system. Integrated BLE and USB also ensure your wireless network is IoT-ready. AP650 provides top-tier performance for high-density environments by combining 802.11ax technology with Aerohive’s Software Definable Radio (SDR) for dual 5GHz operation. It also features a 2.5 GE port for flexible backhaul connectivity and integrated BLE and USB for IoT requirements. AP650X is an external antenna variant of the AP650, delivering blistering performance with 802.11ax, Dual 5GHz and integrated 2.5 GE. With an extended operational temperature range, the AP650X is perfect for demanding industrial environments. IoT-readiness is available through integrated BLE and USB. The AP250 features an innovative software configurable radio that allows dual 5 GHz 802.11ac radio operation for enhanced network capacity and higher ROI. AP250 is ideal for high density/high capacity environments, and the in-built BLE technology enables a range of proximity, indoor location tracking, and location-based engagement use-cases. AP150W is a compact enterprise-class wallplate access point and switch with embedded IoT technology designed for wall or desktop mount. AP150W is very suitable for use-cases such as hotel rooms, cruise ships, residential halls, or other multi-dwelling-unit deployments. The Aerohive Atom AP30 is the industry's first pluggable enterprise access point designed for instant, continuous, and adaptable client and IoT connectivity. Atom can be quickly and conveniently plugged into any US power socket, and network connected via mesh or existing Ethernet data points enabling faster deployments, reduced cabling and installation costs, and flexible network access in any location. AP30 is ideal for plugging Wi-Fi dead zones, extending corporate connectivity, connecting temporary locations, or as a sensor or overlay network for data and analytics. Optional security bracket (sold separately). AP122X, the external-antenna version of AP122, offers all the rich features of the IoT-ready, integrated-antenna model, as well as the ability to use the device in certain challenging RF situations for optimal coverage and improved performance. AP130 is built for pervasive Wi-Fi in very high density environments, powerful enough to provide all the services needed for an enterprise network, and inexpensive enough to deploy for ultra-high-capacity networks. The AP230 offers superior price-to-performance and full Wi-Fi functionality on legacy POE infrastructure allowing enterprises of all sizes to broadly deploy 802.11ac for their mobility needs.